As you know, last year I set up Spica Warrior, the UK’s only dedicated DDH charity. This is a blog version of the September newsletter that I thought you might be interested in. We wanted to use it as an opportunity to explain what Spica Warrior is all about and why we set it up. Our youngest son, Lucas, was diagnosed with DDH just before he was five months old. When we were told the news we were shocked but wanted to know as much as possible so we could be fully prepared for the future. We put together everything we could find, spoke to medical professionals, searched the Internet and over the years we have built a library of knowledge and a wealth of experience. Spica Warrior is a result of that work and we would like to share it with you. Whilst DDH isn’t life threatening, after spending seven years on this journey, we know it can be life changing and for Lucas, it is ongoing. No one would choose DDH but our little Spica Warrior has taught us time and again that life goes on and you get through every challenge that comes your way. Every appointment, every X-Ray, every operation, every cast, every bad day, every piece of news – good or bad. You get through it, but you shouldn’t have to do it alone. Thanks to Spica Warrior, you don’t have to. Whether it’s information about casts and harnesses, what nappies to use or simply knowing the basics facts, we will do what we can to make life easier for you and your child. We are working with medical professionals to ensure that DDH is on their radar and they know where to sign post families when that crucial diagnosis is made. This is only the beginning for Spica Warrior and we are delighted that you are a part of the journey. For more information go to Spica Warrior. On the 11th September, Gary Milton, will undertake a 200 mile bike ride to raise money for Spica Warrior. He will be riding along the Grand Union Canal towpath all in the name of healthy hips. You can find out more about his challenge, and how to donate at Just Giving. Every penny counts, so if you can give, please do. The Songbirds are a Buckinghamshire based choir and on 10th July they raised £250 for Spica Warrior as a result of a beautiful evening of singing. This money will be used to help buy a much needed, Smirthwaite portable spica chair for the Coxon Ward at the Royal National Orthopaedic Hospital. Mr Nejad and his team have looked after Lucas for the past seven years and we are delighted to be able to give something back to other children and parents. Thank you ladies, we really appreciate your support. At his last appointment in August, Lucas hand delivered a Peppa Pig ride-on that was donated by a Spica Warrior supporter. This will be used by all the children on the ward and the play therapist was delighted as it is the perfect addition for the newly refurbished outside area. Do you work in a supermarket, chemist or PR agency? Do have great corporate contacts looking to help a charity? If the answer is yes, we need your help. We are looking for partners to help us with an exciting project that we think will help many families and their children. We are also looking for a holiday company to work with in UK, so if you have any contacts, shout! For more information about both of these opportunities please get in touch, we would love to talk to you more about it and set the wheels in motion. We want to reach as many people as we can moving forward so they know we are here to help. If you can forward this newsletter to family, friends and even your GP and surgeon, that would be brilliant. Spica Warrior is based in the UK but we are very much a global organisation and we are growing quickly. I am a member of the International Advisory Board at the International Hip Dysplasia Institute and is working with the team on future projects. We are also in talks with Sarah Twomey from Healthy Hips Australia and are looking at spreading the DDH message together even though we are thousands of miles apart. In September we will be joining forces with Samantha Bowen the founder and owner of Hip-Pose. Hip-Pose is a fantastic brand of clothing for babies and toddlers being treated for hip dysplasia and was created by Samantha when she was unable to find clothes for her daughter, Lucy. Watch this space for more news about our plans, we think you are going to like them. We know that when your child is diagnosed with DDH, you have an appointment or that dreaded cast explosion happens, you want to ask someone what to do and chat it over. We have created a closed group of Facebook called the DDH Support from Spica Warrior. This is so we can offer help and advice when it is most needed. Friendships are being made and trust built. It is made up of other parents, patients and several DDH professionals who all have something to offer. With UK, US and Australia based admins, there is always someone around to help. Wherever you are in the world, sign up for the page today and you will never feel alone again on your DDH journey. Our first Spica Warrior Ambassador Noah Wall is an amazing little boy who has defied the odds time and time and time again. Noah is paralysed from the chest down after being born with just 2% of his brain as well as Spina Bifida and hydrocephalus. This brave little boy faces yet more surgery this autumn and this time it’s to create a new hip socket, which will mean spending weeks in a spica cast as part of his recovery. Did you know when you shop online you could be raising money for Spica Warrior? Nearly 3,000 retailers, including Amazon, John Lewis, Aviva, The Trainline and Sainsbury’s, take part in this scheme which doesn’t cost you a penny but helps us help others. 1. Go to www.easyfundraising.org.uk/causes/spicawarrior/ and sign up for free. 2. Every time you shop online, go to easyfundraising, pick the retailer you want to use and start shopping. 3. After you’ve checked out, that retailer will make a donation to Spica Warrior for no extra cost at all. There are no catches or hidden charges and Spica Warrior will be really grateful for your donations. Spica Warrior founder, Natalie Trice, is also the author of Cast Life – A Parent’s Guide to DDH. This comprehensive book covers pretty much everything you need to know about caring for a child with hip dysplasia. With 10% of the profits from sales going to straight to Spica Warrior via our publisher, Nell James, it is hoped this book will help people around the world on many levels. Look out for Facebook Live readings from the book from September. We are currently looking to increase the size of our Executive Team and are looking for another Trustee. We aren’t asking for a huge amount of time but you will need to have an interest in our work, a belief in what we are doing and be able to join several meetings a year (Skype is fine). This is the perfect opportunity to give something back, help make a difference and change the DDH landscape. We would love to talk to you if you are interested, so please get in touch. If you have any questions or would like to know more about our work and plans for the future, get in touch. We would love to hear from you and if you can help spread the Spica Warrior news so we can help even more people, that would be brilliant. 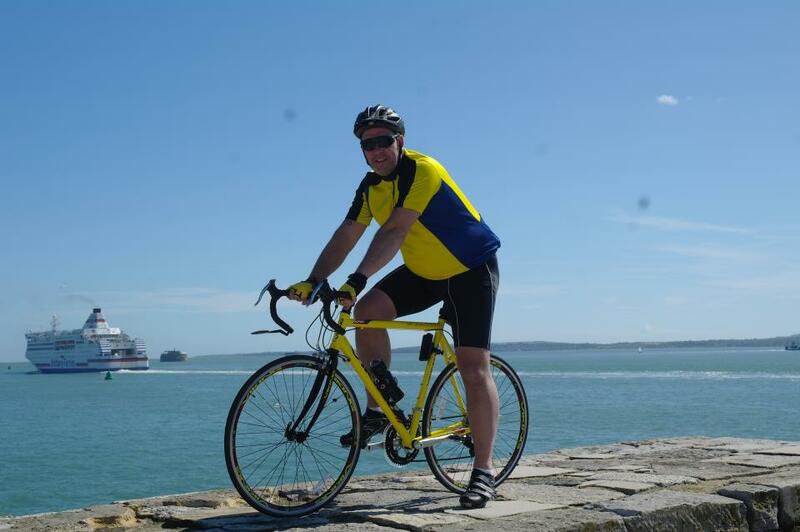 Gary Milton, who is 49 and lives in Waterlooville, is currently training for a 200 mile bike ride to raise money for Spica Warrior, the UK’s only developmental dysplasia of the hip (DDH) dedicated charity. Northampton, Aylesbury, Wendover and Slough. Spica Warrior work with, will keep me going. Natalie Trice, founder of Spica Warrior, added, “When my son was diagnosed with DDH I was shocked by the lack of information and support out there and decided to change this. We are delighted that Gary has decided to put his fitness to the test in the name of DDH and help us provide advice, information and support to families who may otherwise be alone. 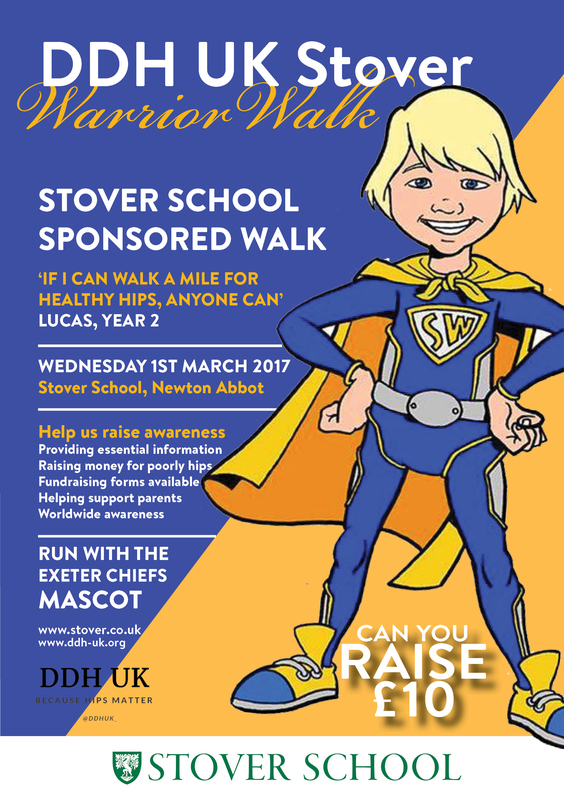 Fundraising events like this will allow us to work with medical professionals and ensure this life changing condition is on their radar and is picked up as early as possible so treatment can begin and suffering can be minimised”. For more information and to support Gary visit Just Giving. The launch of Spica Warrior raised nearly £900. That money will be used to do more work to raise awareness of DDH amongst parensts and medical professionals. It will help support the Coxon Ward at the Royal National Orthopaedic Hospital where Lucas has been treated with amazing care and skill for the past six years. It may even send a family or two on a special treat. As well as generous family and friends, we also had the support of many businesses and I would like to say a massive thank you to them. We are always looking for people to spread the word and support our work so please do get in touch if you would like to help or know more.